Give you an Abundance for every good work that He has for you to do for Him. So fellow believers, what more do we need? 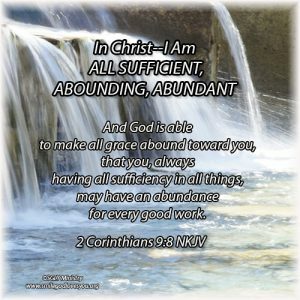 We have learned that in Christ we are Able, All Sufficient, Abounding in grace and Abundant ! Let’s rejoice and be glad we are in Christ!